To speed up the construction of the new “cut and cover” trench slab, the engineers looked to Stremaform® for their construction joints. The product’s performance allowed a higher speed of concrete pour than traditional methods. Wellington’s NZ Memorial Park will create additional space for significant days of remembrance. Numbers of people gathering on major ceremonial occasions like Anzac day is growing every year, and the immediate space around the National War Memorial is often at full capacity. The new Park will give those people wishing to commemorate New Zealand’s proud military history an appropriate place to do so - particularly on Anzac Day 2015 (the centenary of the Gallipoli landings). 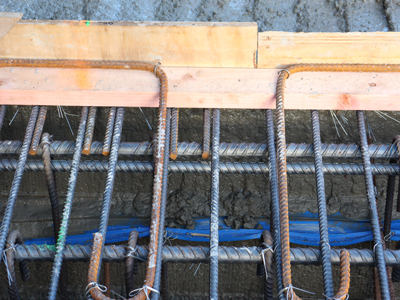 Stremaform® is used as lost formwork for working joints in floor slabs, ceilings and walls. 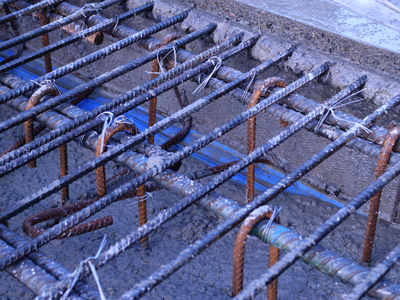 Consisting of an expanded metal welded between steel bars, Stremaform® is placed between the reinforcement bars providing a rough surface to the finished concrete. This surface forms an indented structure with the second concrete pour so that the working joint transfers shear forces identical to those obtained with monolithic concrete (proven by tests carried out at the IBMB Brunswick). The Project Engineer from the Alliance contacted Fletcher Reinforcing to enquiry about the suitability of Stremaform® for the trench slab. After several meetings, it was agreed to supply flat sheets of Stremaform® for fabrication on site. The product offers the versatility to be supplied pre-fabricated ex-Germany in a full range of heights and configurations (with or without water stop holder), or as flat sheets ex-stock in New Zealand. Max Frank offers a full design service through Fletcher Reinforcing. “Stremaform® offered us the ability to set up our construction joints well ahead of schedule without having to return to the joint after a concrete pour to remove traditional formwork. The joint finish allows us to fix steel continually, without any remedial work to the concrete or waiting for formwork to be removed. Stremaform® is a great product which we will be looking at using on future projects.” Cole Meiring, Project Engineer, Memorial Park Alliance.